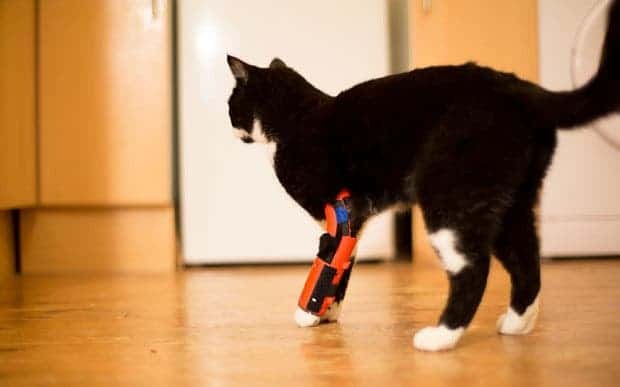 Sprocket the cat has been fitted with an improvised 3D printed leg brace which has a good chance of saving his leg from amputation. Image credits: Fergus Fullarton Pegg. Sprocket, who is just younger than 1 year old, has had his share of misfortunes. He was lucky to survive being hit by a car, but his leg was shattered. He managed to recover very well, only to be mauled by a dog six weeks later. Things didn’t look good for Sprocket. His leg nerves were severely damage, and amputation seemed almost imminent. But his designer owner wasn’t just about to give up – he decided to create and 3D print a design for an orthosis. Fergus Fullarton Pegg, who works as a design innovation researcher at the Glasgow School of Art is one of the most qualified people to tackle this kind of problem. Thanks to this, Sprocket’s leg is protected from further damage and has a good chance of avoiding amputation. The 3D printer uses heated resin to gradually print the structure, which provides additional support without adding pressure on the leg. The lightweight prosthetic shell attaches using velcro, and so far, Sprocket does’t really seem to mind it. The design, if proven successful, could save many paws of our furry friends. 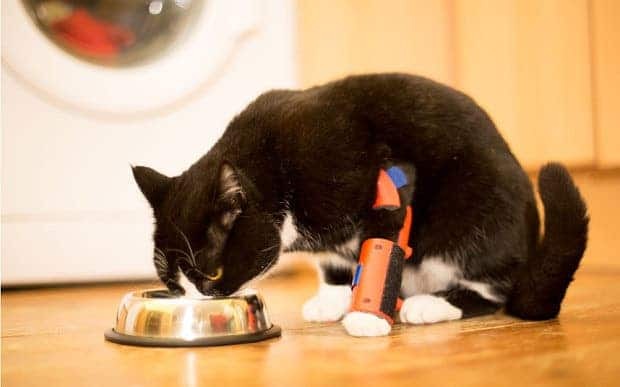 If bad comes to worse and amputation is needed, Pegg is also preparing a prosthetic design, to enable Sprocket to walk. 3D printing is promising to bring a revolution in both human and animal prosthetics.